• Front opening aluminium snapframes for quick and easy poster change. • Unique water-fillable HDPE base with built in wheels. • Heavy duty spring mounts ensure stability by allowing panel deflection in the wind. 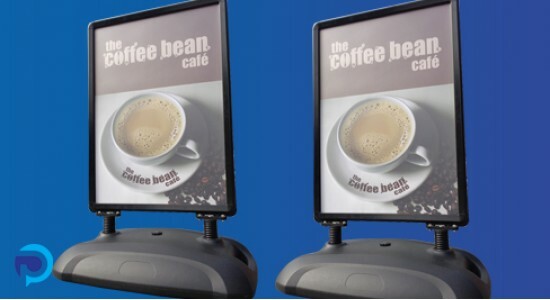 • Anti-glare PVC poster covers ensure clarity of message. • Soft round corners for safety. • Nylon feet reduce wear and increases stability on uneven surfaces. • Snapframe opening tool and 2 piece spanner set included with each unit for easy assembly.